In September 1995, Nancy Saltzman waited anxiously by the phone. She had followed the instructions of the Custer County Sherriff to invite a friend to be with her, but it was little consolation when the late-night call finally came. “I’m sorry, there were no survivors,” the voice said. Dumbstruck by the news she had lost her husband and their two sons in a small plane crash in the Rocky Mountains, Nancy did the only thing she knew how to do. For the next decade, she devoted her time and energy to the other children in her life—her students. 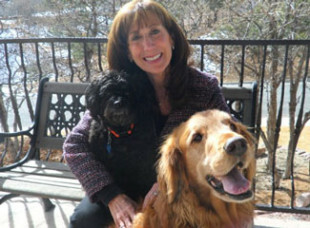 A longtime educator in Colorado Springs, Nancy had been an elementary school principal at the time of the crash, and she felt compelled to help those kids through the devastating loss of her children, who were their friends. She looked at the children and families around her, and by focusing on them, she found what she needed to get up every day. Her survival technique was how she had battled through breast cancer, too. Before her family perished in the crash, she had endured two breast cancer diagnoses, treatment, a mastectomy, and eventual remission. Her strategy to navigate the cancer news was to take on the role of a mentor to other women fighting cancer—her ‘breast friends’ she calls them. Sharing her breast cancer story partially prepared her for the process she went through when she was finally ready to share the story about her family. Only after her retirement in 2006 did she give herself permission to process and evaluate her personal movement through the plane crash tragedy. Writing her memoir, Radical Survivor, Nancy was forced to remember and work through several painful parts of her own story to complete the book. The finished product has connected her past life to her present one. She had told the students and staff in her building at Broadmoor Elementary that she was retiring in order to write her memoir. It was a more arduous and painstaking process than she anticipated. She sat down to start writing in 2008, and the daunting reality of what she had promised to do finally hit her. “That first chapter just kills me. It is the first thing I sat down and wrote and then re-wrote and re-wrote and re-wrote. It was so anxiety-producing,” she says. In that first chapter, she writes about the last day she saw her family in Las Vegas before she flew home alone on a commercial flight. She had to recount the night of the crash and the days immediately following. As she journeyed through the process, she realized there was a lot about her story even she didn’t know. Many of the facts of her story had been stuffed and buried, or she hadn’t even been aware of them in the first place. Because she wanted to write the story accurately, she employed a few different strategies. “I interviewed people. I had to interview people about what it was like after the crash. It was so crazy in those first few days. I had to ask people questions about my own story. I would ask, ‘is this memory even close to accurate?’” she says. Photos jogged her memory, too, and she brought together nearly 1000 letters she had received as condolence offerings. When she decided to use some of those beautifully penned letters in her book, she learned that they were not her intellectual property. She was then set with the task of reaching out to the letter-writers. 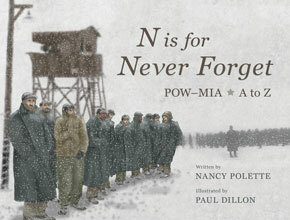 “I had to call every single person to get their permission to use their letters in my book.” That experience was incredibly rewarding for Nancy. Students conveyed to her that they had since employed some of the grief strategies they learned from her during their time as students in her building. 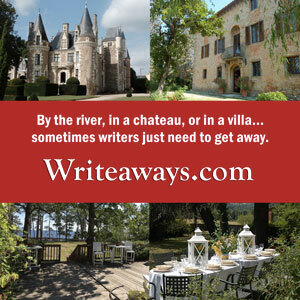 In fits and starts, she worked on parts of the book with writers groups and through writing courses. When it came to stories about her boys, she couldn’t bring herself to write the complete story, so she skipped over a lot of it. By April 2011, Nancy had finally completed a first draft of the book. The more she wrote, the more she realized her fiancé Greg would need to be okay with everything she was writing. “One of the things that was complicated was that I would write about Joel and the kids, and I’d want to be with Joel and the kids,” she says. “The way I’ve survived is by living in the present, so when I was writing, I’d spend that time with them, which was wonderful. I went back to work, and I focused on everybody else. I really hadn’t given myself permission to be with Joel, Adam, and Seth since they died.” She focused her energy so entirely in the moment that many people she met post-crash, including her fiancé Greg, whom she met eight years after the crash, knew little about the family she had lost. It was a difficult time in the process of the book because Nancy was trying to navigate her present relationship, all while regularly riding the emotional roller coaster of her heart-breaking story. 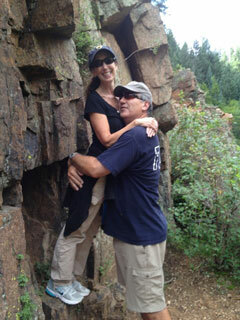 Nancy’s fiancé, Greg, read her inspiring story and encouraged Nancy to share it with others. Bolstered by Greg’s support, Nancy continued through the process and procured a team of people to help her finish the project. Her editor, Julie Talbot, challenged Nancy to go back and write the details of the boys’ stories with deeper emotion. It was a struggle for Nancy, so Julie wrote sample passages to show her what she meant. Inspired by Julie’s examples, Nancy was able to go back and completely write the parts of the story that included the boys. Nancy has no plans to ever write another book, but what she learned about herself writing this one is a series of answers to her question about survival. The book has had an enormous impact on her, but she had very little expectation about the difference the book would make for others. After the plane crash, Nancy was given two books that made a difference for her: Companion Through the Darkness by Stephanie Ericsson and A Grace Disguised by Jerry L. Sittser. 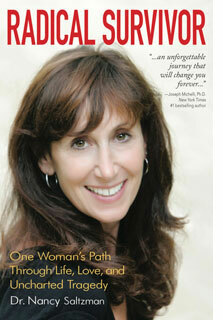 Buy Radical Survivor: One woman’s path through life, love, and unchartered tragedy. Photos courtesy of Nancy Saltzman.